1. LEDs are used to provide the light for the image. It is how these are implemented that affect whether the monitor is HDR Ready, HDR Xpert or HDR Ultra. 2. 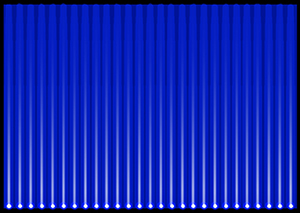 The light goes through diffusers before it hits the LCD panel on which the image is displayed. What is HDR? Showing whiter whites and blacker blacks, and the full range of colors in between, HDR gives monitors more lifelike images. Acer offers three distinct levels of HDR monitors: HDR Ready, HDR Xpert and HDR Ultra. Each provides varying levels of excellence for displaying HDR content. Edge: A row of LEDs either along the base or the side. 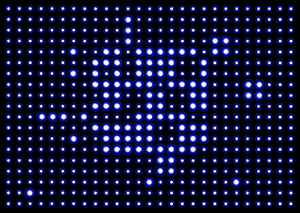 Array: A full “panel” of LED. 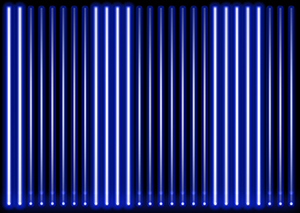 Zone: In an array it’s a minimum square of LEDS, in a strip it’s adjacent LEDs. Dynamic Control Backlight: Each zone’s light is controlled separately. Global — The whole LED strip dims. Local — Specific parts of the LED strip or panel can be dimmed. The image below shows the difference between a non-HDR image and an HDR image, watch this video for more details.